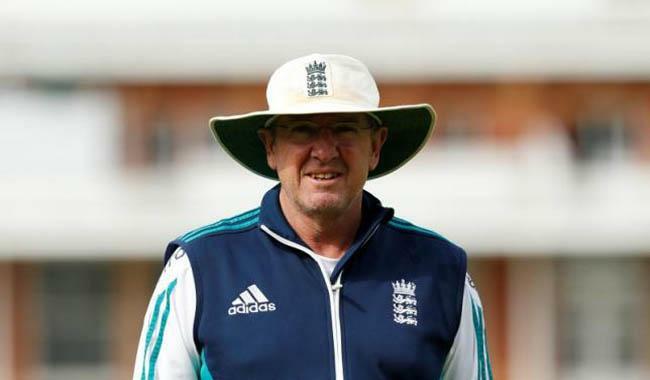 Coach Trevor Bayliss hinted England might field two spinners in the second test against Pakistan as the hosts chase a series-levelling victory at old Trafford. Leg-spinner Adil Rashid, along with fit-again all-rounder Ben Stokes and pacer James Anderson, was called into England’s 14-man squad following their 75-run defeat in the first test at Lord’s. “I’ve always thought of playing two spinners (at home), at some stage. Pakistan has three left-arm pace bowlers, who created rough outside the off stump for (off-spinner) Moeen (Ali),” Bayliss told British media. The hosts struggled against Yasir Shah’s leg-spin at Lord’s and will need to do better when the second test begins on Friday. For them, James Vince scored 42 in the second innings but could not convert it into something big. Vince averages 18-plus after four tests but Bayliss seemed to have faith in the 25-year-old. “I think it would be an injustice if he does not make it, but in the end, it will be the number of runs that determine his longevity in the team,” Bayliss said.